I remember making calls up to and including May 8th (Lugar's primary), telling voters that a vote for Richard Mourdock is nothing more than a vote for Harry Reid for Majority Leader. They told me I was crazy, but campaigns do matter. Just ask Senator Joe Donnelly. The American Spectator recently had an interesting debate on its pages, but I feel that both the participants in it are missing a pretty crucial point. To summarize what went on, David Catron made a pretty obvious point about how it will make no sense for Republican voters to sit out this election cycle because their candidate didn’t win the primary. Keli Carender takes enough offense at this to write a response, looking at some of the “establishment” Republican candidates who lost their primaries. It’s worth looking at the three cases she mentioned in greater detail. Lisa Murkowski: Carender has a problem with how Murkowski didn’t subsequently endorse Joe Miller, who beat her in the primary. In fact, Murkowski managed to win by being elected as a write-in candidate, which is a particularly impressive feat given that her last name isn’t particularly common (her campaign wrote jingles to make sure voters wrote her name in correctly). How is it that Miller managed to do the impossible and lose to a write-in candidate? The answer is simple: he was a terrible candidate. Any campaign that gets in trouble for handcuffing reporters probably isn’t going to end up winning on Election Day. Low approval ratings followed him into this election cycle, where he came in last in a field of three candidates vying to take on Mark Begich. Charlie Crist: I will absolutely concede this point, but this proves nothing other than that Tri-Party Crist is a political opportunist. 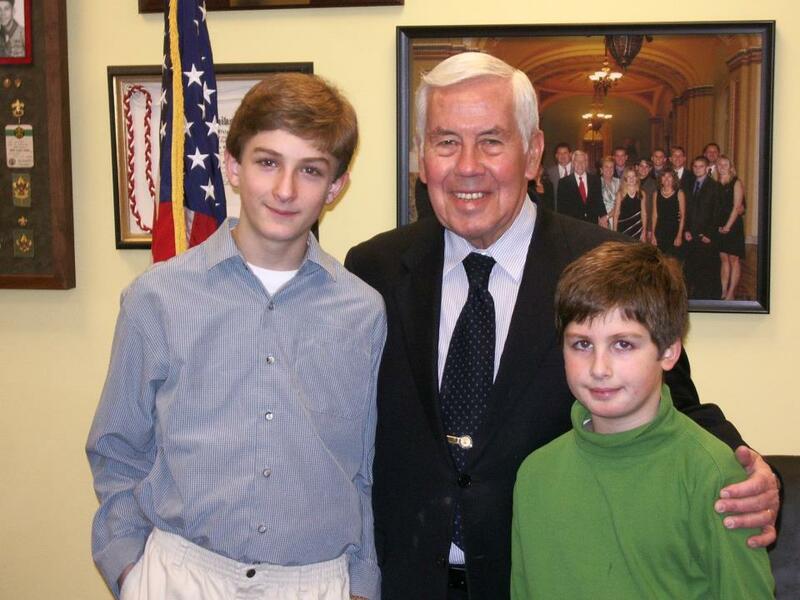 Richard Lugar: I think it’s safe to say that I know more about this race than anyone outside the state of Indiana, because Lugar is the reason that I got involved in politics to the extent that I currently am (and as anyone who has ever interacted with me can attest, I’m pretty involved). To start off, Carender can’t even get her most basic facts straight, writing that he lost his primary in “2010,” when a simple Wikipedia query shows his election was in 2012 (more on that later). What she completely neglects to mention is that Richard Mourdock lost for several reasons. The first is that he took the Lugar Republicans for granted, continuing his theme of how he wants to “inflict” his opinion on others. Considering that Indiana has open primaries, that’s probably not a wise strategy to reach out to the 40% of the electorate that went for Lugar in the primary. To pretend that Mourdock’s loss is a result of anything other than the serious flaws in his own candidacy is to ignore the obvious. Before moving on, it’s worth looking at the impact his candidacy had on the other races on the ballot that fall. Given the chatter about how Indiana Governor Mike Pence might be the dark horse candidate to look out for in 2016, it seems unusual to remember that he barely won election in the first place. In fact, Pence won by only about 3%, thanks to energized Democrats who were ready to defeat Mourdock (as of course they did), but the costs of Mourdock’s candidacy didn’t end there. Just ask Congresswoman Jackie Walorski, who was elected to Democrat Joe Donnelly’s House seat that he vacated to run for senate. She won election by about 4,000 votes, and was considered vulnerable this cycle because of her poor performance last time around. However, she is now a sure bet for reelection, both because her opponent is terrible (he has a scholarship named after him at a university where an Islamic Jihad affiliate had a Nazi style rally) and because she no longer has to cope with a disastrous top of the ticket candidate. Mourdock is now (apparently) on the political sidelines after his recent resignation as Treasurer (which he took effect the day before cuts to pension benefits of state employees would have affected him–what a gentleman). Of course in his farewell speech itself he said that America is heading the way of Nazi Germany. This is the kind of candidate Carender wants? A gaffe machine who cost us a senate seat we never should have lost and almost cost Mike Pence the governorship to an opponent who was notable solely for his facial hair? Those are the candidates that she mentioned in her response, but I’m not done yet. She mentioned how her organization, Tea Party Patriots (more on them later), is now supporting Thom Tillis’s senate bid in North Carolina after they had endorsed Greg Brannon. Carender says this like endorsing Brannon’s failed bid is a badge of honor. In fact, the man whom Rand Paul hailed as a “dragon slayer” said that questions about whether 9/11 was an inside job “have to be asked.” Tillis may not win (although I would say he’s favored to do so), but at least his flaw would have been not resigning as Speaker of the State House, and not in wondering if the US government was behind 9/11. Of course she also repeats the usual talking point about the Mississippi primary runoff, despite the fact that Chris McDaniel’s math completely fails to add up, as just about everyone under the sun has pointed out. In fact, her hypocrisy is even more stunning when she attacks someone like Senator Lugar for not endorsing the primary winner, but fails to mention that McDaniel is actually suing Thad Cochran’s campaign on entirely baseless claims. Sounds like sour grapes to me. As promised, I said I would come back to Tea Party Patriots. It is particularly ironic that they advocate for budget hawks while they themselves spend only 10% of their receipts on candidates, with the rest–almost $10 million–goes to other expenses. Carender also tries to gloss over how Senate Conservatives Fund has all but ignored the general election, despite the fact that conservatives like Ann Coulter has called them “phony” and correctly pointed out that they help elect Democrats (see some of the previously mentioned senators). The lesson to be learned here is that each race should ideally be looked at individually (and if you’re someone like me, who enjoys doing this for fun, if you look at enough races, patterns do appear). As a final point, consider Kansas’s senate race this year. Pat Roberts may very well lose, but that’s not because he’s in the “establishment.” In fact, Roberts was one of only 18 senators to vote against reopening the government during the shutdown. His loss would have more to do with the fact that after he won his primary he all but stopped campaigning. It would also have to do with the fact that the Democratic candidate dropped (read: was forced out) of the race, paving the way for an “independent” candidate to take on Roberts one on one. At the end of the day, both campaigns and candidates matter, both in the races mentioned here and in politics in general. I remember making calls up to and including May 8th (Lugar’s primary), telling voters that a vote for Richard Mourdock is nothing more than a vote for Harry Reid for Majority Leader. They told me I was crazy, but campaigns do matter. Just ask Senator Joe Donnelly. If this statement were false, Republicans like Larry Hogan, Dan Bongino, Bruce Rauner, Charles Djou, Tom Foley, and Lee Zeldin wouldn’t be running slightly behind or even ahead in states like Maryland, Illinois, Hawaii, Connecticut, and New York, respectively. Remember that on November 4th. If there’s one takeaway for me it’s, “DON’T MESS WITH LUGAR!” 🙂 Miss you!